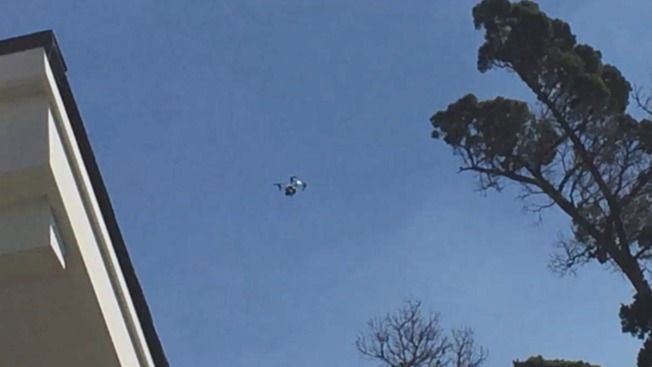 Former "Dirty Jobs" host Mike Rowe came face-to-face with a drone that was peering into his home (Sept. 26, 2016). From slopping through feces-filled sewers to braving shark bites while wearing a chainmail suit, Mike Rowe, the former host of Discovery Channel's "Dirty Jobs," is used to battling not-so-ideal situations. But the San Francisco resident found himself face-to-face with a new challenge last week, that being a new age piece of technology infringing upon his privacy, according to Rowe's Facebook post. While fast asleep inside his San Francisco home, Rowe thought we was immersed in a deep dream about buzzing bees before he came to and realized that something was noisily moving about outside. The former television host, who happened to be naked at the time, whisked the blinds open only to find a drone peering into his abode recording his every move, Rowe wrote in the post. Rowe grabbed his 12-gauge shotgun, scurried out onto his deck still entirely exposed and pointed the barrel into the blue sky. He pumped a round into the chamber and was about to slam the trigger, but the potential consequences sunk into his decision-making process and he set the weapon down. As to why he had a change of heart, Rowe penned that he'd rather not have the headline "Dirty Jobs Guy Totally Loses It - Gets Naked and Shoots Drone From San Francisco Skies" forever linked to his reputation, according to the post. The detailed and, at times, whimsical tale has been shared over 10,000 times on Facebook and collected more than 56,000 reactions ranging from sympathy to laughter and outrage to shock. One Facebook user even suggested that Rowe construct a potato cannon to blow the machine out of the sky if it ever makes a second appearance while another nonchalantly recommended that a power washer would do the trick. Although Rowe resorted to his usual satire while describing the ordeal — something that some commenters appreciated from the quick-witted character — many were disgusted by the breach of privacy, according to the post.